These days, businesses are much more flexible than they used to be. Nowhere is this truer than how they can accept payments. Since no one carries cash anymore, companies need to adjust to fit their customer’s needs. With mobile devices and wireless internet capabilities, you can now handle transactions from just about anywhere on the planet. When it comes to portable credit card machines, no one does it better than Clover. In the old days, you had a register and a separate device for handling credit cards. While you could still do things that way, why complicate things with more machines? Instead, you want to build a POS system that can accept a wide range of payments through a single platform. This will make it much easier to handle transactions, as well as settle your books on the back end. The largest and most comprehensive option you have is the Clover 2.0. This unit combines all of the standard machinery you would expect at a cashier station. 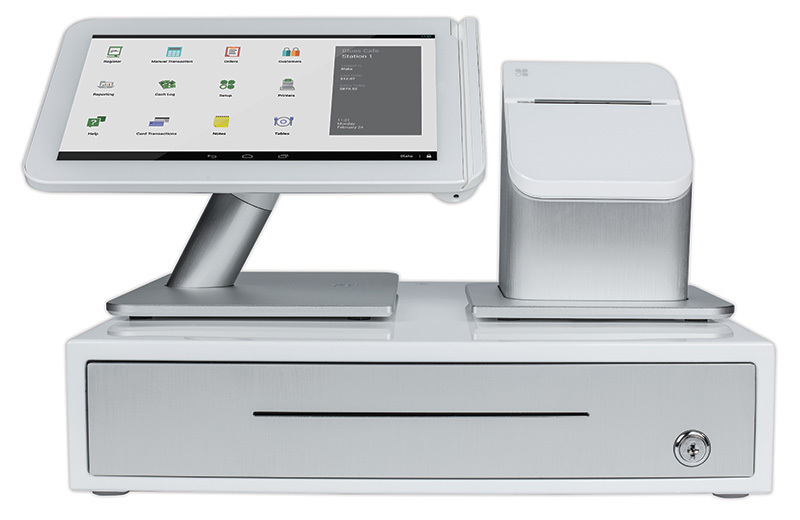 There’s a tablet for ringing in products, a receipt printer for the customer, and a cash drawer for handling payments. Best of all, credit card or third-party payments are also processed through the system. If you want all the same functionality but in a smaller package, then you want this option for your cashiers. Not only can it accept all kinds of payments (credit cards, chips, and contactless options), but it can utilize different apps to integrate them into your standard point of sale system. Finally, you can add additional products like a receipt printer or a cash drawer as you like. Business doesn’t just happen in the store. Even if you are a brick and mortar business, you want to go to where the people are, such as festivals, concerts, or pop-up stations. When that happens, you need a POS terminal that is just as portable as your business. With this mobile device, you can handle all of your payments and transactions with ease, no matter where you are. Overall, no matter what demands your company faces, you can rise to the challenge with Merchant Account Solutions.